Are you struggling to make healthy choices? Do you feel torn between sticking to a healthy diet and giving in to temptation? 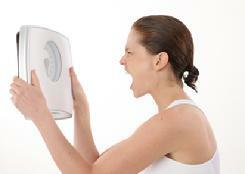 Are you tired of dieting and using willpower alone to reach your ideal weight? Have you been on diet after diet, but nothing seems to change? The simple truth is: Diets do not work. They may for awhile, but then the old eating patterns return and you are back to square one. What's wrong with this scale? What if there was a better way to reach your ideal weight? What if you could use the power of your subconscious mind to change old eating habits into good eating patterns now? 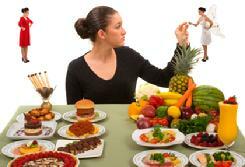 With hypnosis you work to reprogram your mind to desire only healthy, delicious foods. 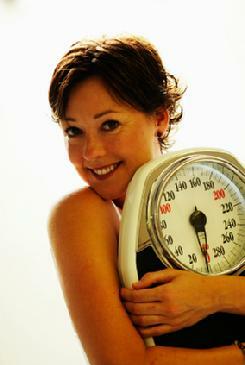 You can begin to think of snack foods, junk foods and sweets as unappealing and unappetizing. Learn how to turn your subconscious mind into your greatest support system! I like my scale again! What about exercise? Wouldn't it be nice to be more motivated to get moving, walk, work out and be more active? Hypnosis may be able to help! In Addition to Hypnotherapy, we will address the biochemcial deficiencies in the brain which may be contributing to the problem! Low-cal diets, skipped meals, carb/sugar excess, purging, over-exercise, and too much stress, deplete our brains' powerful appetite-and-mood-regulating neurotransmitters: serotonin and endorphin. This triggers craving for addictive sweets and starches for temporary comfort. Brain-targeted nutrients called amino acids can quickly address these problems. Amino acids are perfectly natural substances that are found in high protein foods such as chicken, turkey, eggs and so forth. They are the building blocks for the "feel good" chemicals in the brain. With these supplements, along with hypnosis, you can quickly regain control of your appetite as well as the need for "emotional eating"! Scientists have confirmed what millions of Americans have learned the hard way: Some foods contain elements that are literally as addictive as alcohol or hard drugs! Begin your journey toward weight loss success with this package which includes a 2 hour initial session and 2 one-hour follow up sessions. You will receive 3 FREE recordings of your hypnosis sessions for your personal use. These are great for reinforcement between your sessions and after completion of your package. We will also determine if a targeted blend of amino acids to replenish stressed out neurotransmitters can help you to reduce food cravings and stress. Call today or fill out the form below for more information. More questions? Fill out form below and I will contact you personally. How many pounds are you ready to shed? What other methods of weight loss have you used?